Peppercan was born out of necessity. 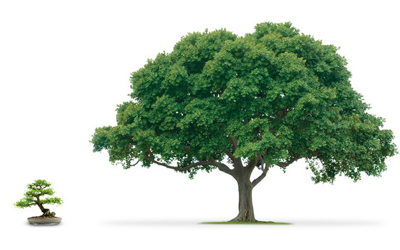 We needed a system to manage our business, and move away from the cumbersome combination of Outlook, Excel and Words! 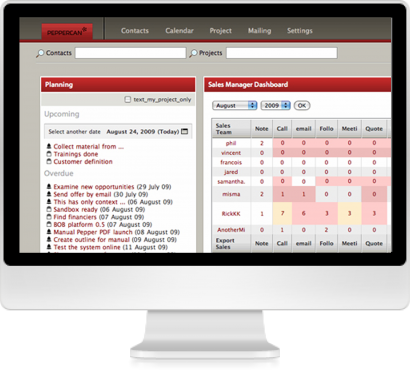 A powerful web-based business application that helps owners and managers run their operations more smoothly and effectively. 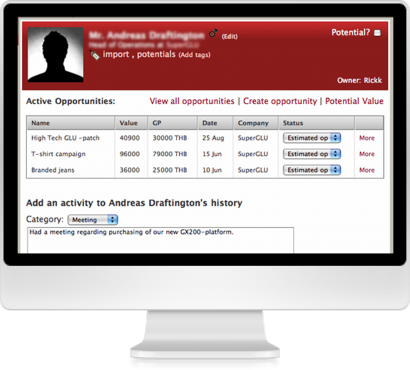 PEPPERCAN - the CRM that automates and frees up your team to build your business. It automate your sales, your E-marketing campaigns and your quoting system. It brings your projects to life, takes control of your time and manages your finances. Peppercan is easily set up, using a simple questionnaire to configure most of the application right from the get go. Allowing you to get started easily and quickly. Peppercan is a cloud based application. No need to download, or install any specialized software. All that is required to use and run Peppercan is internet access and a web browser. The server to host the Data, security, backups and maintenance are all included in the monthly costs. What kind of information has been shared? How is the progress on other projects? What are new sales orders, or monthly calls? What are the sales forecast and pipeline? How do i track lead times and conversion rates through all stages in the sales process? Key Performance Indicators (KPI) are financial and non-financial measures or metrics used to help an organization define and evaluate how successful it is. Use your time analyzing and acting on your key data, not gathering it. In order to effectively manage projects from concept to conclusion, project managers need immediate access to key information to ensure the project remains on track and within budget. Peppercan helps project managers with the execution and management of each phase of the project by enabling the efficient management of time, resources and project cost. Be aware of your project milestones to avoid large delays and cost growth. 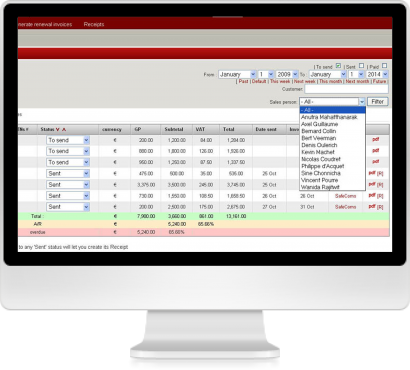 Capture, track, manage and share all client specific information in a single unified database, making it accessible to any authorized employees without having to move from one system to another. Powerful contact search engine! “Tag” your contacts to categorize them. Finding out who is who is now just by a click. Results? 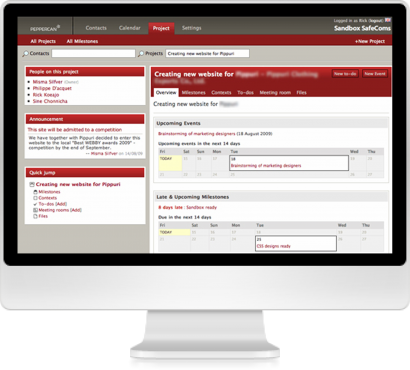 no duplicate information, increased employee productivity and faster time to service. Schedule email sending. Prepare everything you need for your marketing campaign and synchronize the beginning of your campaign by sending email at a specific time. 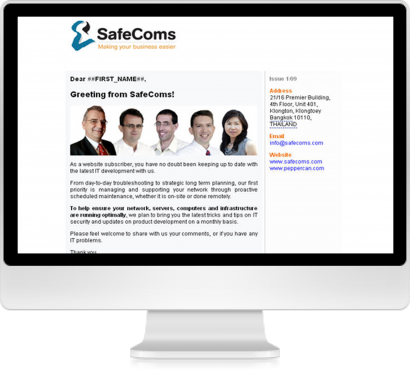 Create specific mailing lists from your contact database. Unlimited message personalization, emailing lists and subscribers. Build a flexible inventory of your products/services, and set their pricing standards. Quickly and accurately produce quotes. Links to finance module for invoicing and collection. Easily attach quotation to customers in the database for future reference. Turns a quote into an invoice with a click of the mouse. Automated report generation for VTA, withholding tax and monthly A/R. Instantaneous, error-free transfer to your existing accounting package i.e Quickbooks, MYOB. Automated approval process for expenses. Includes cashflow forecast and asset tracking. Automatically invoice recurring revenue (monthly, quarterly, annual) each months. Reduce burden on accounting and finance administration. Tired of using software in a language different to what makes you most comfortable and efficient? Peppercan has already been fully translated into English, French, Dutch and Thai. Many other languages will be available soon. You don’t need to buy different application packages for different departments, which reduces costs and complex linking and compatibility problems. Enabling automatic data linking and update across departments. 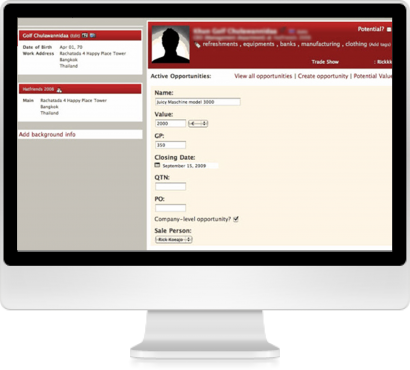 Closing sales is easier, faster and minimizes data errors. Peppercan requires no special training. You can access and use Peppercan from any Internet connection. Peppercan requires no installation. It’s ready for use the minute you sign up. Easy import and export of Data by administrator avoids being “locked in by the supplier”. Full user training manuals and 24 hour technical support by email.